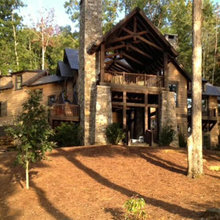 17 Projects for Golden Corner Construction, Inc.
15 Reviews for Golden Corner Construction, Inc.
We selected Ron Tolley and Golden Corner Construction to build our new home in The Reserve at Lake Keowee after talking to others that had used him for their homes. For nearly 2 years after making that decision, Ron met with us on several occasions to discuss our plans without any signed commitment to use his company for the construction. We just completed construction of our new home and we have not been disappointed at all by the decision to use Golden Corner Construction! We built from nearly 500 miles away and were concerned about not being present for several weeks at a time during construction. We didn’t need to worry! Ron maintained constant communications with us regarding decision points and provided frequent updates on progress, including photos via a web link. On several occasions, we would ask for his advice on materials, paint and stain colors, and numerous other decisions and he always gave his opinion based upon experience. We learned that we could totally trust his judgment. He was cost conscious and we felt like he was looking out for our best interests. We love our new home and would not hesitate to recommend Ron Tolley and Golden Corner Construction to anyone that is looking for a builder. 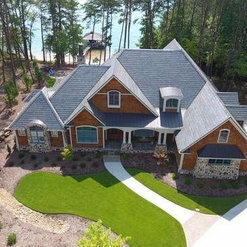 We selected Golden Corner Construction to build our house at the Reserve at Lake Keowee after looking at many houses the company had built here and based on prior client recommendations. It was the best decision ever! 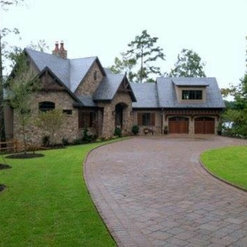 Ron Tolley is professional, personable, and totally dedicated to helping each client build the house of their dreams. He kept us informed every step of the way, through the design and build phases, and made certain every detail was of the best quality. He also offered gently guidance when needed to help us make the right decisions, and he kept our budget in mind throughout the process. He was organized. His timeline for decisions and choices we had to make kept us engaged and sometimes very busy, but never overwhelmed. Throughout the entire process, he was honest and ethical. He made sure every detail was attended to. Every vendor we dealt with, whether recommended by Ron or not, respected him and had a positive relationship with Golden Corner Construction. Without any reservation, we would choose Golden Corner Construction if we ever build again in this area. This company maintains the highest standards and obtains outstanding results. Two and a half years after moving in, we are still thrilled to live in our beautiful home. That’s the best recommendation of all! I hired Ron Tolley with Golden Corner Construction to build my house. It was a pleasure working with him throughout the entire process. He was willing to make modifications to the plan along the way, and he is very easy to work with. The final product is beautiful. I have not had any issues with my home since completion a few years ago. Character, quality, and the best are just a few words I use to describe Ron Tolley and Golden Corner Construction. With over a decade of a working relationship with Ron he has my highest recommendation. 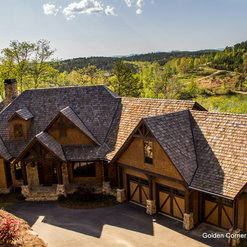 If you are looking for a contractor to build your new home, you would be doing yourself a disservice if you don’t contact Ron Tolley of Golden Corner Construction. Their detail, quality, and customer service is superb in every aspect. We decided to work with Ron at Golden Corner the first time we met him. Other builders made us feel like we'd be just another paying customer. With Ron, we knew we had a partner -- a great guy who would be personally invested in delivering exactly what we wanted. We took on this project from our first home in Ohio, more than 500 miles away. Ron communicated with us frequently, sometimes daily, and sent photos and videos every step of the way. When problems arose, he was honest in describing them. When we needed prodding to make a decision to keep things on track, he was persistent. When we needed advice, he provided it. In managing costs, he treated our money like it was his own. After nearly a year of work, the finished product was exactly what we wanted. We have enthusiastically recommended Golden Corner to several of our new neighbors and will continue to do so. 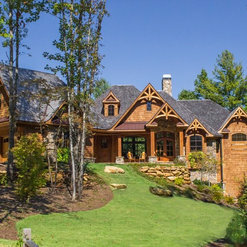 In 2013 My family was given the opportunity to build a new home fin a beautiful lake community. 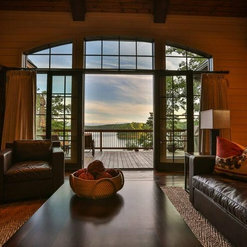 We were fortunate enough to find a fabulous waterfront lot to build on. After securing an architect who helped us design a home to ours and our specific lots requirements we were on the quest for a builder who would be detail oriented, eager to please and mostly proud of his work. We were lucky enough to find Golden Corner Construction who from the get go was genuinely excited to work with us and our project. Ron Tolley was open to working with our architect and got along with him extremely well during the many changes and tweaks we made along the way. Ron was caring about us having a good experience building and did everything in his power to make sure that happened. He actually encouraged us to think out of the box so he was open to making and suggesting changes that made our home even more unique. That being said there are always things that may go wrong but it’s the way your builder handles them that matters. Ron was available for phone calls 7 days a week and always called us back within a reasonable amount of time. It has been 3 1/2 years since we have been in our home and remain happy! After interviewing multiple builders, we decided on Golden Corner Construction. They were very professional and accurate on all aspects of the job. They were on the job every day and completed our home in the time frame they said they would, without cutting corners or compromising on quality. Ron Tolley was at the site every day and was accessible throughout the whole process. We have been in our home now over three years and have never had any issues. We would highly recommend Golden Corner Construction and Ron Tolley. As a 25 year veteran in real estate appraising and having been in over 6,000+ homes, I can honestly say that Golden Corner Construction is a first class builder all the way. 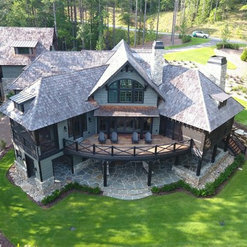 I've even been fortunate to have appraised a few of his houses and the quality and workmanship can and does compete with the best of the best! 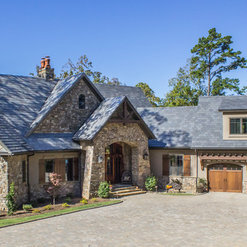 If you or someone you know is looking for a first class builder that cares just as much about the homeowner as well as the home he is building....call Ron! We’ve been in our new home for just over 6 months and at times we have to pinch ourselves to believe that it has really happened. We have Ron Tolley and everyone at Golden Corner to thank for building our dream home. Working with Ron and his team was a pleasure from our first visit to the lot in 2009 through occupancy this past April. When we started construction last year we were still living in Houston. Each week we looked forward, with great expectations, for the latest pictures that Ron would send showing the progress. Throughout the process the design of the house continued to evolve and Ron was a constant and steadying influence always available to answer any question that we had. He was open to providing us options where we could save some money which gave us the flexibility to upgrade in other areas. The proactive communication that Ron encouraged also led to eliminating issues before they became problems. Beyond the great communication that we had directly with Ron, Misti and Gary at Golden Corner, we also want to point out the quality of the workmanship from Ron’s extended team including the framers, electricians, painters, roofers, and others and then there’s Ron’s suggested list of suppliers. The entire team came together to produce a house beyond our wildest dreams. Overall, after going through our first experience of building a home, we highly recommend Golden Corner Construction with 100% confidence and trust in Ron Tolley. 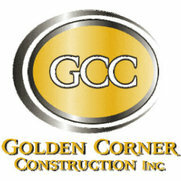 We would recommend Golden Corner Construction (GCC) to anyone that is shopping for a builder. Ron Tolley is a highly ethical builder who builds a top quality home that he stands behind. 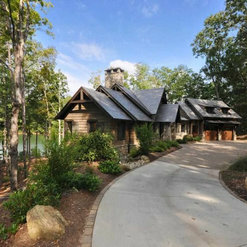 GCC has proven the worth of his craftsmanship in our community as there are numerous GCC cutom homes here. I would use GCC again if we ever built in this area again. Simply outstanding to work with from start to finish. The quality and professionalism of the people and work product were excellent. We interviewed several high quality builders in the area, among many, before choosing Golden Corner. 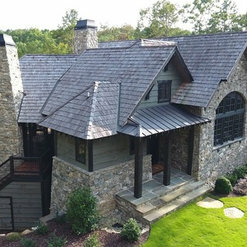 They demonstrated a willingness and skillset to provide value-add suggestions in the design and construction process that gave us comfort they understood our goals and objectives in building our dream home. As the project progressed through each stage the level of communication, collaboration and responsiveness to our needs/desires remained consistently high right through the date of closing and beyond. We saw similar evidence of this unconventional service as we met other clients of Golden Corner so we know that our experience was not unique. Golden Corner delivered an unconventional customer experience and we are confident that will continue for years to come post-closing. 2 Ideabooks for Golden Corner Construction, Inc. 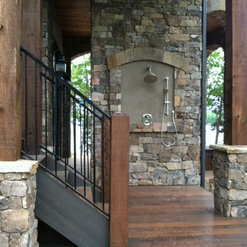 Commented: Really like the stone on the fireplaceThe stone is Tenn. fieldstone. Source is Yoders Building Supply in Fairplay SC. 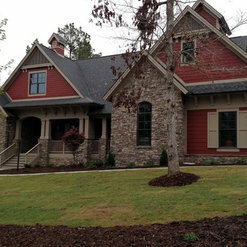 Commented: SidingThis is a kiln dried pine natural cut wavy edge lap siding. Commented: HardiPlankLincoln Beige...Sherwin Williams. A custom mix.